STS-70 was the 21st flight of Space Shuttle Discovery. During the mission the crew deployed the sixth and final Tracking and Data Relay Satellite from the shuttle which is still in use today for both the Hubble and ISS programs. 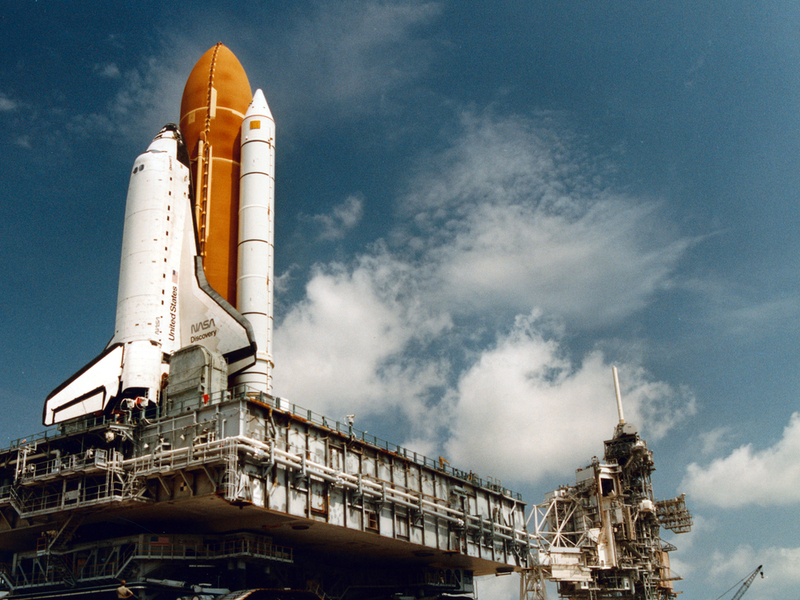 The mission was launched from the Kennedy Space Center on 13 July 1995, only six days after the landing of Atlantis on the STS-71 mission, marking the fastest turnaround between flights in history. The main objective of the STS-70 mission was to deploy the sixth and final Tracking and Data Relay Satellite from the shuttle. Rollout of Discovery to launch pad 39B. 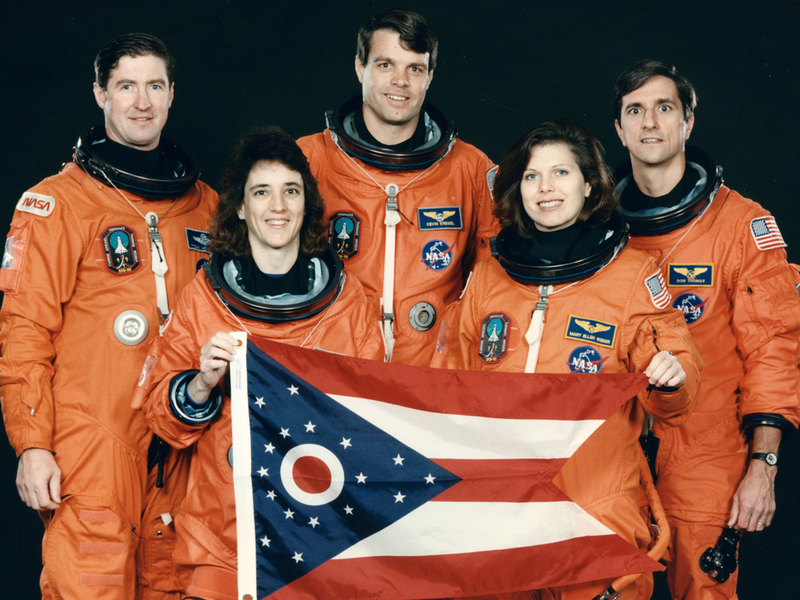 The “All-Ohio” Space Shuttle Crew. Early design of our crew mission patch. White Room preparations before boarding Discovery. Inspecting our Tracking and Data Relay Satellite at KSC. Artist rendering of the deployed TDRS. Launch morning artwork by the STS-70 children. The crew heads for the launch pad. Emergency evacuation training at KSC. Condensation clouds envelop Discovery as we climb to orbit. Deployment of the Tracking and Data Relay Satellite. 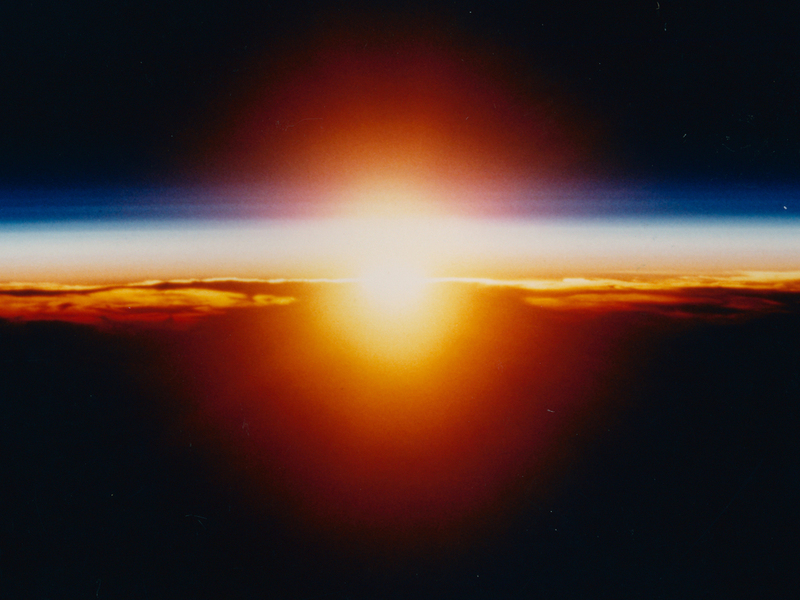 Photographing Earth with the Hercules experiment camera. Dr. Kregel removes dust particle in eye. Used extensively by NASA to communicate with the astronauts in space, this satellite system is also used to relay all of the scientific images and data from the Hubble Space Telescope and many other scientific satellites. 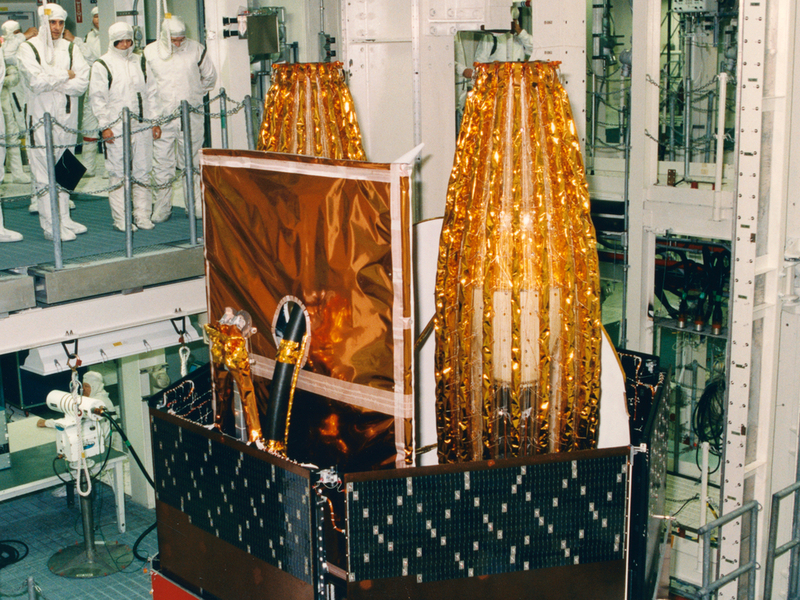 This final satellite replaced the one lost aboard Space Shuttle Challenger destroyed during launch on the STS-51L mission in 1986. "Six hours into the mission, after carefully check out all its systems, I pushed the button to deploy the Tracking and Data Relay Satellite. With all five crew members with their faces pressed up against the windows, we watched in awe as this large satellite silently inched its way out of Discovery’s payload bay. It passed only a few feet above our overhead windows and gave us pause that there would be sufficient clearance. It sailed on above us on its journey out to geosynchronous orbit 23,000 miles away. Mission accomplished!" 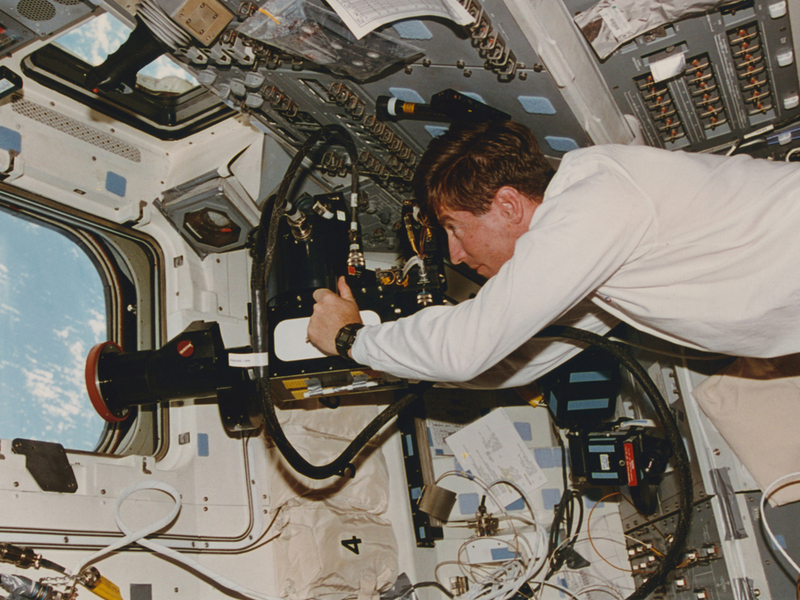 Tom Henricks was born near Toledo, Ohio and commanded the STS-70 mission. A United States Air Force Colonel, Tom was selected in NASA’s 11th group of astronauts. 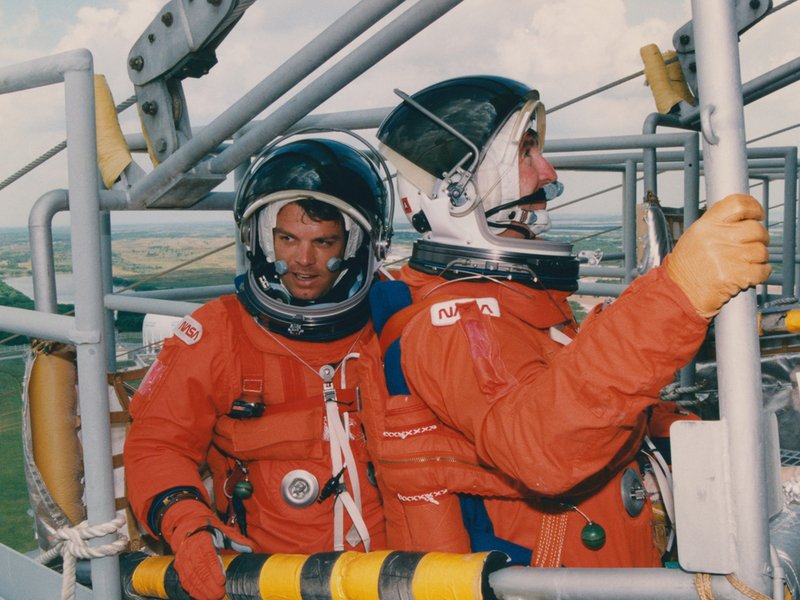 STS-70 was his third of four flights aboard the Space Shuttle. 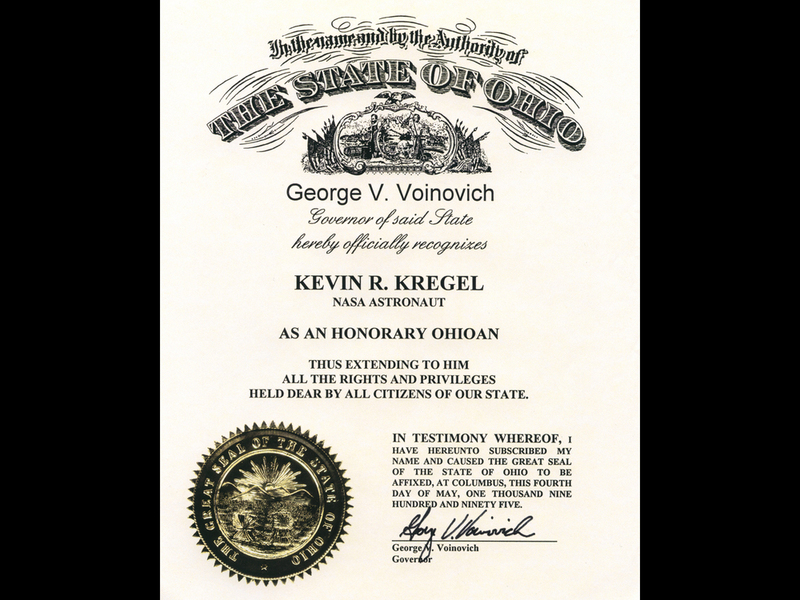 Kevin Kregel was born in Amityville, NY and had served as a pilot in the United States Air Force before joining NASA as an astronaut instructor pilot. 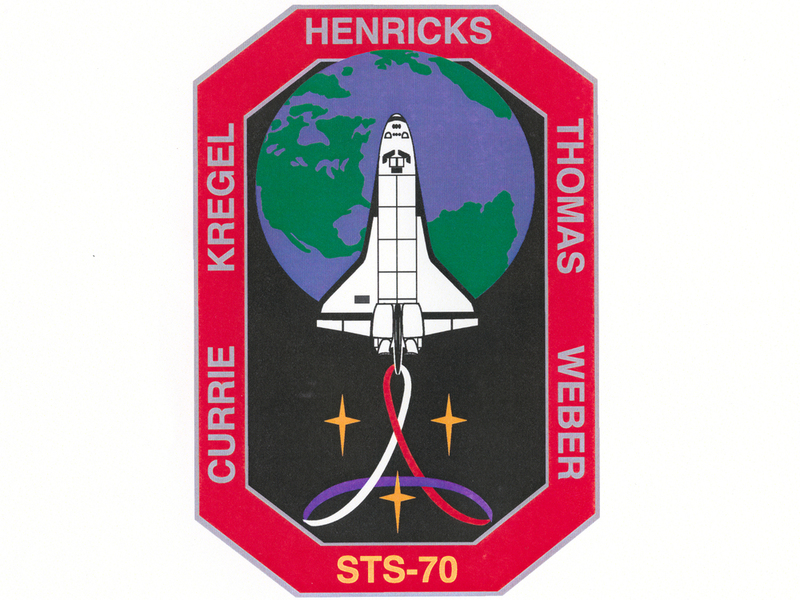 Selected in NASA’s 14th group of astronauts, STS-70 was Kevin’s first of four Space Shuttle missions. Nancy Currie grew up in Troy, Ohio and is an accomplished United States Army aviator with extensive flying experience in rotary-wing and fixed-wing aircraft. 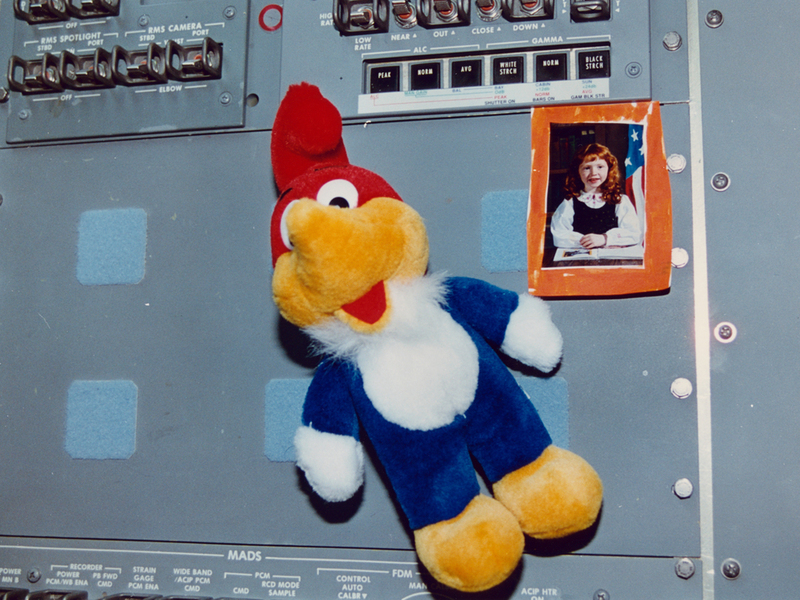 STS-70 was Nancy’s second of four Space Shuttle missions. Mary Ellen Weber was born in Cleveland, Ohio and earned her doctorate in physical chemistry from the University of California Berkeley. 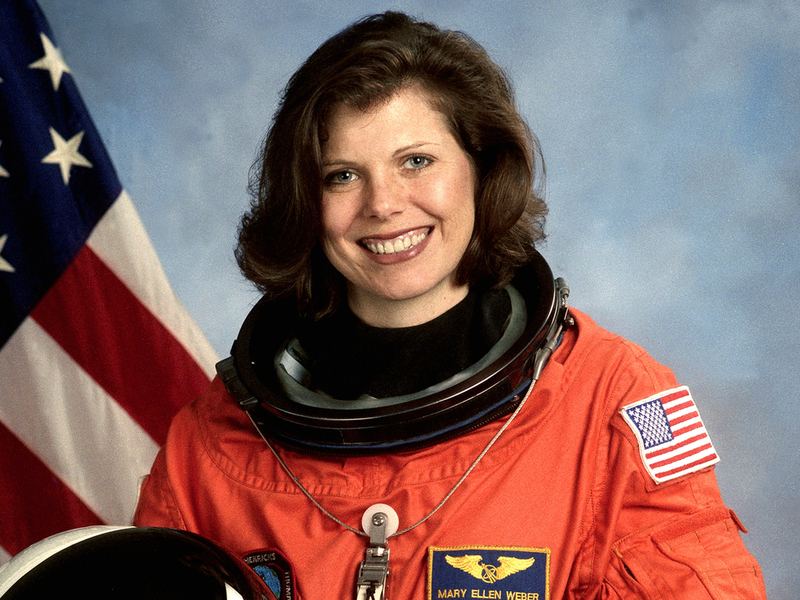 An experienced skydiver, STS-70 was Mary Ellen’s first of two Space Shuttle missions. 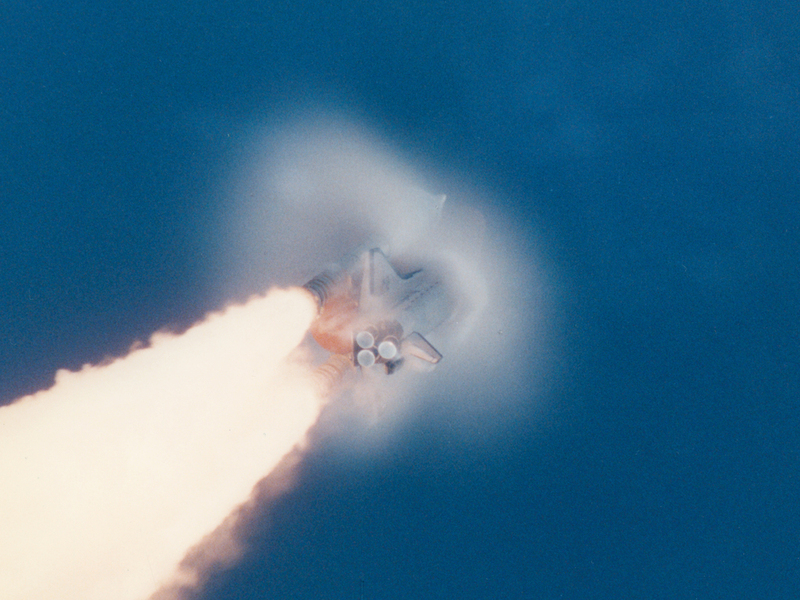 One week before the scheduled launch of the STS-70 mission, a love-sick woodpecker attacked Space Shuttle Discovery making 205 holes in the soft foam insulation protecting the Shuttle’s big orange external fuel tank. 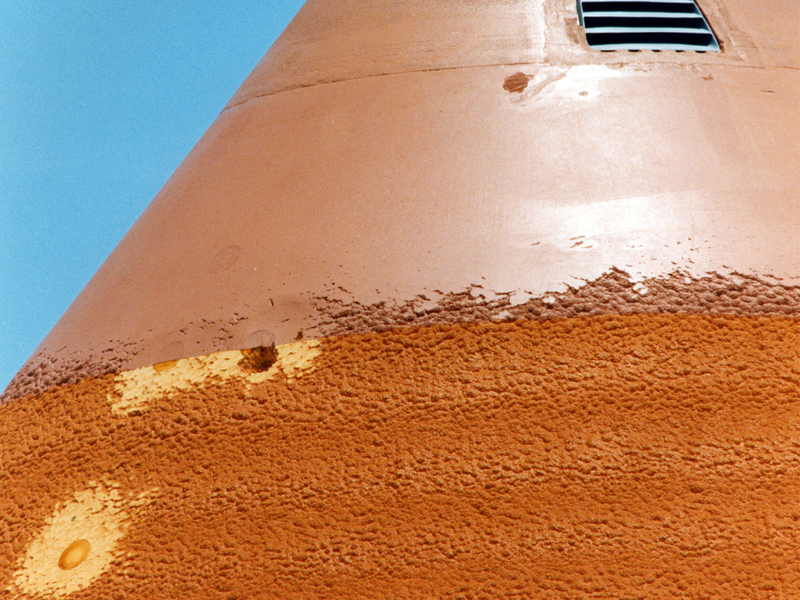 This put the mission on hold until NASA could evaluate the damage, patch the holes, and find ways to keep other woodpeckers from inflicting similar damage on future missions. The infamous woodpecker caught on film! Damage to the soft foam insulation. Repairs to the soft foam insulation being made. Counter measures put in place. Having a little fun during the delay (photo Don Thomas). Pilot Kevin Kregel poses while repairs are made (photo Don Thomas). Crew holding predator-eye balloon to scare woodpeckers away (photo Don Thomas). Woody makes it to space!